How do you encourage your employees to be innovative? It’s a question business people around the world would love the answer to. And if a quick Google search is anything to go by, there are plenty of people who think they have that answer. Thing is, anyone with a laptop and an internet connection can string together a few hundred words on innovation in the workplace. Far better then to turn to somewhere authoritative, a platform that carefully curates the people allowed to share information on it. When it comes to that sort of thing, there aren’t many better sources than TED, the globally renowned lecture series. 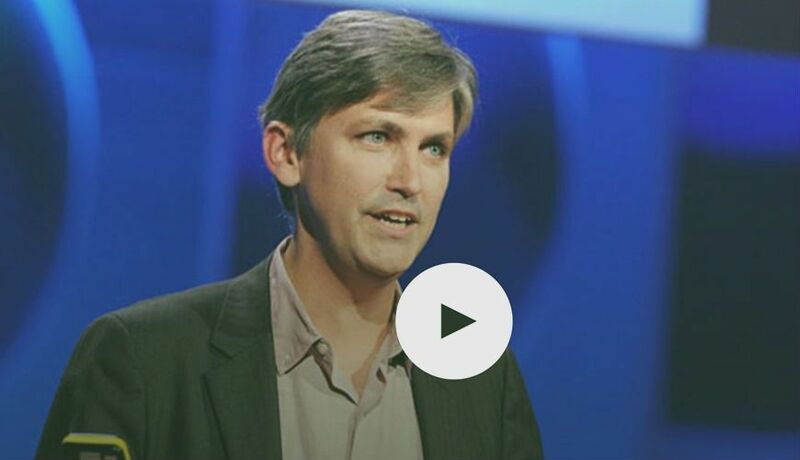 With that in mind, here are some of the best TED Talks relating to employee innovation. We like to think that innovation comes from individuals having Eureka! moments. While it’s an appealing image, it’s not exactly grounded in reality. As Steven Johnson explains in this video, innovation happens when people of different backgrounds come together to discuss different topics. It’s what made coffee shops so important in the 17th Century and what makes the web so important today. Networks, in other words, are vital to innovation. When it comes to applying this to the workplace, it’s important that you allow people from different departments, with different kinds of expertise to interact as frequently as possible. Your company can have the most innovative thinkers on the planet, but if people don’t back their ideas they won’t get very far. What you also need is people who can recognise great ideas and bring everyone else around to those ideas. Get it right and a spark of creativity could become the catalyst for a movement that completely changes your company’s fortunes. The traditional workplace celebrates conformity. The better you slot into the system, and the more productive you are, the more likely you are to succeed. But that doesn’t really work when it comes to encouraging innovation. For that you need original thinking. And original thinking requires time for procrastination, space to fail, and the opportunity to refine ideas. “We have always been shameless about stealing great ideas” is one of the most quoted sentences to come out of Apple founder Steve Jobs’ mouth. Over the years, many have used this quote to show that, when you think about it, Apple really isn’t all that innovative. In reality though, it’s an acknowledgement that there is no such thing as a truly new idea. In this talk, Kirby Ferguson expounds on this line of thought, using the art of the remix as an example. This isn’t to say that your employees should straight out copy what rival companies are doing. Instead, they should look at what others are doing from both within and outside your industry and adapt them in new and interesting ways. Do you have a favourite TED Talk that applies to employee innovation? Let us know about it in the comments section below.